Shopping, whether for groceries or electrical goods, can be a costly venture. We tell ourselves each week we will spend much less than we did the previous week and we never do. It is not an easy task to do, especially when we have children, but you can keep the cost of your shopping down by staying alert of what you’re spending. To help with the challenge of food shopping, we have compiled a brief guide of tactics you should employ to tackle this weekly battle. You should write up a weekly meal plan and make sure you stick to it. While this is not exactly an exciting idea, it will ensure that you know exactly what you will be having and prevent you from randomly buying. There are hundreds of meal suggestions online, especially when you are on a low budget, which are also nutritious. Writing a shopping list and ensuring that you stick to it also helps. It is all about being strict with yourself. This may seem like an expensive option at first, but buying in large quantities will be beneficial for future shopping trips. Toilet roll is a good item to buy in bulk as it is sold in large quantities already. Other items such as pasta, rice and cereals that can last for longer periods are sometimes cheaper to buy in bulk. Make sure you have room to stock and you will save yourself money in the future. Large quantities of meat can also be bought, divided into suitable portions and frozen for later use. This is important, especially when making a big purchase, you may find that one store will sell the item far cheaper than another. As most stores are extremely competitive when it comes to prices, your weekly shop may differ in one store than another. Go online and use comparison sites to see which supermarket will give you more value for your money. Customer service and loyalty is important for super markets and some will even go as far as to reduce your shopping bill if you tell them it will be cheaper elsewhere. A good tip is to shop towards the end of the day, that’s when food nearing the ‘use by’ date will be stickered. These foods can be frozen for later use, but make sure you use within 24 hours of defrosting. Regardless of what people say, named brands are no better than the supermarket brands. What you are paying for is exactly the same product, but paying for the name instead. In most cases, the own brands can taste better than the big brand names. You weekly shop need not put you out of pocket, following these simple tips should help put you on the right money saving track. 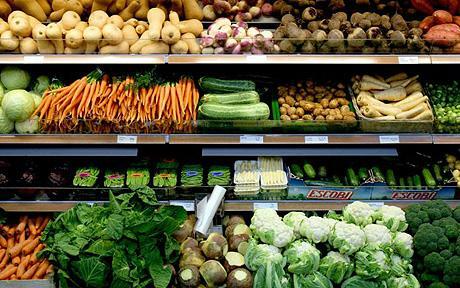 Just remember that budgeting your weekly shop is the key to ensuring efficient money saving. Harry Price is afreelance writer who enjoys an active life in his spare time. He plays football, rugby, running and his latest love is rockclimbing.